Why are some states able to deliver public services to their citizens while others cannot? Why are some states beset by internal conflict that leaves many impoverished? Much of what has become known as the failed states literature attempts to engage with these questions, but does so in way that betrays a particular bias, engaging in advocacy for intervention rather than analysis. The Idea of Failed States directly challenges existing thinking about conventional state strength as it finds that institutional approaches to state strength obscure as much as they reveal. The question of why some states are strong and others weak has traditionally been addressed using measures of economic growth, resources, and quality of life. This book compares the dimensions of state strength characterised by community, society, and nation and uses social capital concepts to further illuminate them. Applying this approach across forty-two countries shows ‘weak’ states exhibiting a consistent and unique patterns of relationships between community, society, and nation as well as equally consistent and unique relationships in strong states. 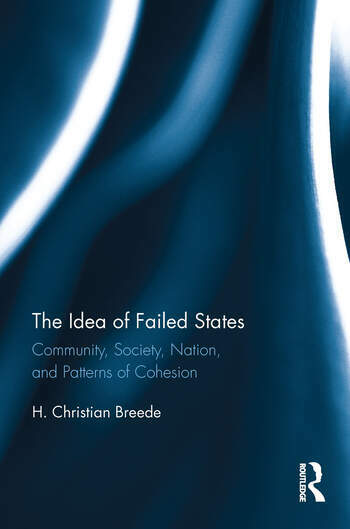 A blend of theory and empirics, The Idea of Failed States present a new way to think about the state – one that applies to both strong and weak alike. This work should be of interest to students and scholars researching social capital, public policy, international development and security studies. Chapter 2 – Measuring Failure or Capability? H. Christian Breede is an Assistant Professor of Political Science at the Royal Military College of Canada (RMCC) and a serving officer in the Canadian Armed Forces. Concurrent with this appointment, he is also a Deputy Director of the Centre for International and Defence Policy and a cross-appointed Assistant Professor of Political Studies at Queen’s University. He completed his PhD in War Studies at RMCC. Prior to his PhD studies, he served in a variety of command and staff positions within the Canadian Armed Forces as an Infantry Officer deploying to both Haiti (2004) and Afghanistan (2008-9). His research interests include state capability as it relates to international security and the connection between the soldier and the citizen.